With more than 20 years experience about magnetic separator used in different field, HangSeng Magnetech specializes in industrial strength separation magnets for the removal of ferrous metal contaminants from dry or liquid product flows and is the first manufacturer to offer 52 MgOe rare earth material as a standard in select products. 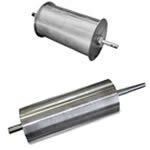 These magnetic separators are used in industries such as food, chemical, plastics, & feed and grain, to improve product purity and protect processing equipment from damage. 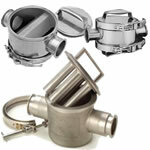 While available in standard sizes, strengths and designs to meet most applications, HSMAG specializes in modified standard products and custom solutions, and offers design and engineering assistance for unique or difficult applications. HSMAG separation magnets have saved untold dollars in reduced downtime and contaminated product recalls. 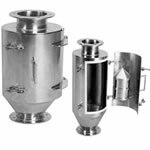 Magnetic Separation equipment is used to remove ferrous tramp metal contaminants from dry particulate, liquids, and slurries in the process of grain, feed, sugar, cereal, chemical, mineral, plastics, oil, textile, salt, pharmaceuticals, and recycled products to name a few. A partial list of Separation Equipment would include magnetic plates, grates, drawers, drums, humps, pulleys, spouts, and belts. These magnetic separators will ensure product purity and protect processing equipment form tramp metal damage. HSMAG offers a wide range of magnetic separation equipment for capturing, controlling and removing ferrous tramp metal contaminants from products and processing systems. 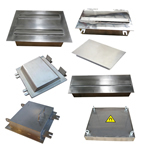 HSMAG’s magnetic separation products are available in standard sizes and strengths with effective designs to meet most conditions and applications. Special designs, and engineering assistance are available for difficult applications. HSMAG’s magnetic separation products are designed for rugged use and easy installation in mechanical, gravity, or pneumatic conveying systems. Optimum performance is achieved when magnetic separators are placed at proper locations within the processing system. Your must clear about following question. Then decide item No. Magnetc Tubes are named just because they are made from the strong NdFeB or SmCo,Ferrite Magnets are in stainless steel tubes by fully or non-fully welding . Because the appearance of stainless steel rod or bar with well polishing, many customers also call them magnetic rods,magnetic bars, magnetic filter bars, or magnet bar. Grate/Grid Magnets was developed to separate metal from flowing material, by this, the grate magnet can protect your processing machinery against dangerous tramp metal. The magnetic filter bars are fixed onto stainless steel frameworks, when the flowing material that contain iron substance pass through the frameworks, the iron things will be attracted onto the magnetic bar. 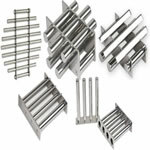 Magnetic Drawers are made from magnetic grate in the big 304 or 316L stainless Steel House . 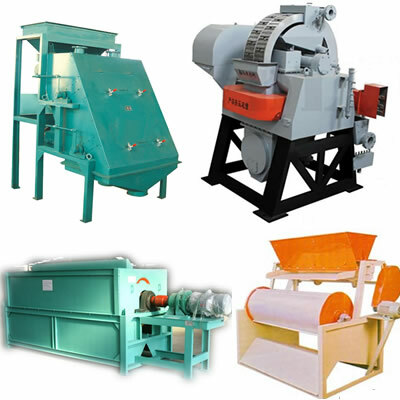 As one kind of magnetic filter or magnetic separator, They are also named Magentic drawer separator,Drawer Magnets, Magnetic grate in house, which can catching ferrous metal from different granule free flow materials . 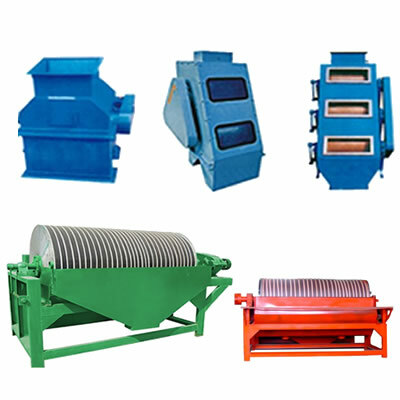 Self-cleaning Magnetic Grate Separator belongs to the new-designed one which can keep continuous performance under the control of a programming controller so as to ensure the continuity of feedstock of delivery,which consist of strong magnetic rod, stainless steel house, air cylinders, PLC and Touch screen. HSMAG can supply Liquid Plate Trap Magnets, Liquid Finger Trap Magnets, Standard Normal Style Liquid. Magnetic liquid traps in HSMAG can be custom-made to various type, different shape, different performance and magnetic bar numbers. Bullet magnetic separator is designed for installation in pipelines or ducted systems, to trap the ferrous particles from the powder, grain material flows over the magnetic bullet.Open the door to remove the ferrous particles on the surface of the magnetic core. Magnetic Hump were designed to direct product and contaminant flow into the magnetic fields of plate separators. The deflected flow pattern helps to break up clumps of material, providing maximum protection against entrapped contaminants. Plate Magnets are designed to capture unwanted ferrous metals from your product where magnetic tubes or grates might choke/bridge the product or wear out the magnetic tubes. 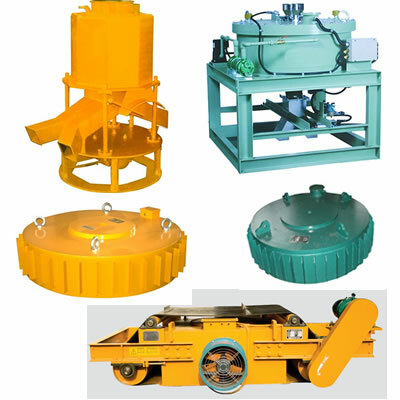 Magnetic drum is a device for automatic and permanent removing of magnetic iron metals from inert materials. It rotates around the outside of these and over which the material flows or is dropped. 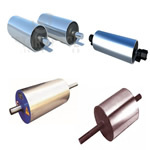 Magnetic pulleys are constructed of quality steel, strong permanent magnets enclosed by stainless steel by welding. 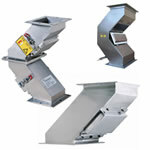 Remove large and small ferrous debris from product streams in belt conveyor systems.